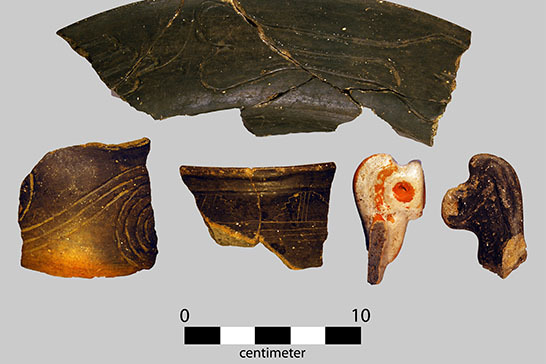 Erik Porth will be analyzing these ancient sherds from Moundville in order to learn more about the civilization’s social structures and decline. Photo Credit: Erik Porth. From the April 2016 Desktop News | Despite the extensive excavations that have been done at the Moundville Archaeological Park since 1939, Moundville’s decline—and its social organization—are largely shrouded in mystery. But with the help of a $9,000 grant from the National Science Foundation, University of Alabama doctoral student Erik Porth and his dissertation adviser, Dr. John Blitz, are hoping to uncover some of the secrets. 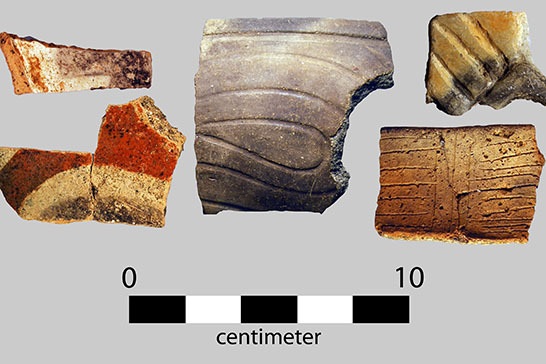 Part of Porth’s NSF grant allows him to have sherds chemically compared in order to learn which ones were made locally and which ones weren’t. Photo Credit: Erik Porth. In the fall of 2012, Porth joined with the Office of Archaeological Research in The University of Alabama Museums to excavate a portion of one of the park’s mounds. During the excavation, which was directed by Brandon Thompson, they uncovered deposits of broken pots, animal bones, and stone tools that had been thrown down from the summit of the mound in prehistoric times. For his dissertation, Porth will analyze that debris in a variety of ways. The NSF grant allows him to have the bone debris radio-carbon dated and the ceramic sherds analyzed for their chemical composition. Based on the results, Porth will be able to tell when the vessels were made and whether they originated from local deposits or from the Lower Mississippi Valley.  “If potters were coming from other locations, they would have brought with them new ideas and norms that might have shaped the social transition occurring during this period,” Porth wrote in his grant proposal. Based on the rims of shattered vessels he has already analyzed, Porth suspects that Moundville was abandoned during the early 16th century, at least in part because of a shift from an individualistic society to a more communal one. Porth expects full results from the project in 2017.